Automatic two-way sync for orders, customers, products, inventory & more between WooCommerce and QuickBooks (Online, Desktop or POS). JivoChat offers you a 360° business communicator for your e-commerce. Connect message funnels, offer calls, configure and customize freely; turn your visitors into happy clients! Share Your Purchase will let you add a set of buttons in the Order received page, so your customers can share their purchase on social media, helping your products go viral. Real-time certification using the Blockchain technology to comply with the French 2018 VAT anti-fraud law. Give away one or more free items with the purchase of another item. Coupon Referral Program helps merchants in making their customer base strong by providing customers with discount coupons by referring friends. Display star ratings below your Google Shopping Ads. Generate a product review feed url and have control over which products to include. Accept in-person payments and sync your WooCommerce online store with PayPal Here for WooCommerce. Optimize your ‘thank you’ page for the best user experience. 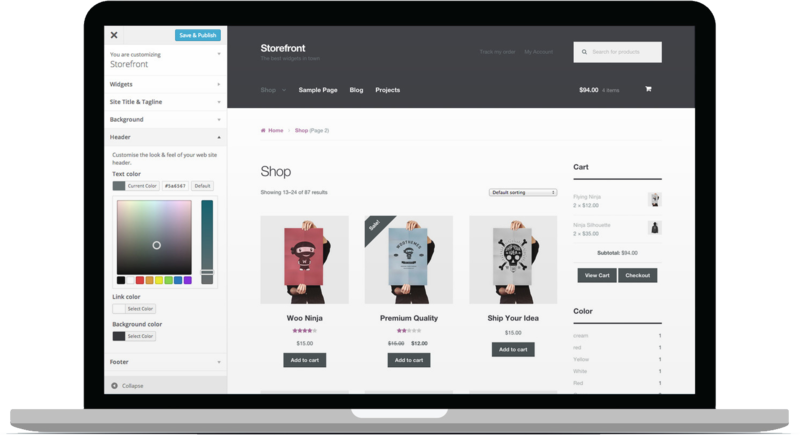 Redirect users to different order confirmation pages per product. WooCommerce Product Disclaimer helps you to set some products to accept terms and conditions before customers add products to their cart.